You are at: Blog » Business Models » Explained: How does Kickstarter Work? A Kick Start is required to do something fresh or in other words. To do something worthwhile and fresh, you need a Kickstart. This well-known proverb everyone has heard. This is what the company does. Kickstarter is a company that allows anyone with a creative idea to grow and develop the product or an idea to actual scale and get it to the commercial market. 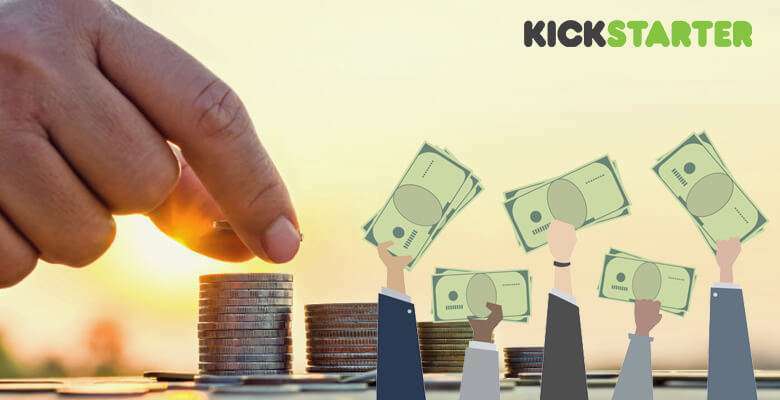 Kickstarter is a crowdfunding website that generates funds for individuals or companies who have come up with a prototype or a working model of any product or service and want funds to make product reach the commercial market. The funds help the innovator or the company to convert the prototype into an actual product that is Available in the market. It is always necessary to for an innovator or person with a great prototype or an idea reach the mass in form of physical product or service and ensure that the concept grows from lab scale to position where it reaches the doorstep of Customer. An idea is of no use if it cannot be materialized. Kickstarter launched its service in the year 2009 based out of Brooklyn, New York, US by Perry Chen, Yancey Strickler, and Charles Adler. The Company’s Mission Statement Says “ Help bring a creative project to life”. The company with its concept received numerous awards including an award of “Best Website” and Best Invention of the year 2010 by reputed magazines. Its popularity soared and it expanded to the UK in 2012, Canada, Australia and New Zealand in 2013. It thereafter expanded to Denmark, Ireland, Norway, and Sweden in 2014. With an intention to grow further it expanded to Germany, France, Spain, Austria, Belgium, Italy, Luxembourg and Switzerland in 2015, Singapore, Hongkong, Mexico in 2016 and finally Japan in 2017. The raised funds out of a campaign or a project on Kickstarter can be in any native currency. Currently, the company offers US Dollar, Canadian Dollar, Australian Dollar, Euro, Swiss Franc, Danish Krone, Pound Sterling, Hongkong Dollar, Japanese Yen, Mexican Peso, Norwegian Krone, New Zealand Dollar, Swedish Krona and Singapore Dollar. With this currency, the creator can easily raise fund without any conversion factor and thereby saving money for the fundraiser. In case the Creator resides in any other country and desires another currency, the same can be converted as per charges applicable for conversion as per Bank and country norms. But how does Kickstarter work? Let’s understand that. How does Kickstarter work – this question has made us all thinking. So, let’s understand the working mechanism behind Kickstarter. Kickstarter, as mentioned, is a crowdfunding website which enables the creator to raise fund for their project. And how much actual funding should people do? The question: How does Kickstarter work? Involves a lot of things. The project can be any of the creative projects, such as movie or films, Stage shows, Journalism, Video Games, Technology, Music or food related. The Project creator initially has to create an out map of product or project to be made, search relevant category to list the project, design production and manufacturing plan while considering all the aspects like Machine, tools, raw materials required and their source, manpower required and their wages, planning for taxations or tax breaks if any and also consider for any challenges or difficulties that may arise while production of the project. Considering all risk factors and the detailed outline is necessary for the project to kick off and finish successfully at desired and goal oriented time. Each Project creator shall have to a minimum funding goal and a deadline for collection of the funds requested. If the total funds requested are not received by the deadline, no funds are collected. The Kickstarter does not own or claim ownership over any project and is purely owned by the Creator of the project. Each and every project that starts fundraising, is listed on the website and is never deleted. Any person can view the documents pertaining to any project anytime. Once the funding process is complete, the projects and it’s uploaded media and relevant content cannot be edited or removed from the website for the fact that it is a basic right of the investor to keep a check on the project invested upon. This also reduces fraud cases. There is no guarantee that the project once funded gets surely on the ground or is delivered or the creator uses the fund for the project only or it will meet expectations of project backers/funders or investors. Kickstarter always advises backers of the project to evaluate the project and use their own judgement before backing any project. The Creators are warned of Lawsuits if they fail to deliver on promises. The projects might also fail due to technical challenges if found at a later stage or if the project creator underestimates the total costs. The whole idea is about creating Value to the people who back the Creator or Inventor. Below are the few guidelines set by Kickstarter for creating a project. Creators can fund project only and the money shall not be used for any other purpose. 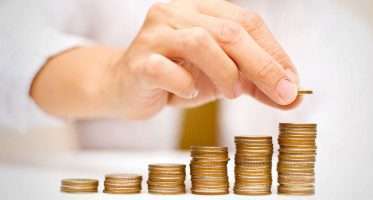 The creators cannot create Charity or Awareness campaigns and have to abide by prohibited rules. No genetic modification of organisms is allowed. The Project is limited to Single item or Sensible set of items but no multiple products. The photo of products should be original and not computer generated or simulation. Project creators must submit proper manufacturing plan. When a product is forayed as a project, a proper actual prototype is required. These guidelines are set for creators to understand that the backers support the project and are not just placing an order like an e-commerce website. The creators also required to mention risk and challenges associated with the project in producing it. How does Kickstarter Help the Creator of the Project? Kickstarter has created multiple tools and channels to offer help to the creator of the project. It includes building and growing the startup community on the web as well as various other options as listed below. With this handbook, the creator can find FAQs and guidelines from the first step to the end of the project and it also offers Question Answer page for any queries to the project creator. This is an online Question Answer Community enabling the creator to solve problems and talk to members about taking things forward and interacting on challenges. It also offers an option to project creator to communicate with project backers and raise funds for their project. Patrons are the organizations, Non-Profit and foundations that have reserved funds for backing creators who create a project that aligns to their mission. So, after getting the knowledge on the question: How does Kickstarter work?, let’s get the idea of how does Kickstarter make money? We are now well versed with how Kickstarter works. Now let us understand how Kickstarter make money. Kickstarter calls itself a Benefit organisation that is for-profit companies that are obligated to consider the impact of their decisions on society, not only shareholders. The main goal of their company is to bring a positive impact on society through legally defined goals. Their corporate character is amended so as to lay out specific goals and commitments to arts and culture, making values core to operations and fighting inequality. Let us understand in detail about how does Kickstarter make money. After registration of each project, the company Kickstarter collects 5 per cent of the total amount of the campaign. Under its portal, the company Kickstarter has launched Paid advertisement service wherein the creators can use this service to attract more backers by targeting a group of audience. It is an online resource of emotional and practical guidance from creative people with a goal to inspire, educate and grow a community of people who dream of creating. The Creative Independent is an ad-free platform but does conduct paid events at various locations to educate people. Kickstarter Magazine & Paid Ads. Kickstarter launched its magazine to feature best creators and share various stories with the readers. It thereby also offered advertisement options to creators. A drip is a tool for people who need fund on a continuous basis for ongoing projects. The drip will eventually be merged into Xoxo wherein Kickstarter will go further with working with creators and community to build Long term partnerships and sustainable career. As on January 2019, the company Kickstarter has received funding of $4.075+ billion for 156750+ projects from more than 1.5 million backers. There are more than 50 million + pledges on the portal. Below are a few notable projects on Kickstarter. The documentary short “Sun Come Up” and documentary short “Incident in New Baghdad” were each nominated for an Academy Award as well as contemporary art projects “EyeWriter” and “Hip-Hop Word Count” were the two projects chosen to exhibit in the Museum of Modern Art and filmmaker Matt Porterfield was selected to screen his film Putty Hill at the Whitney Biennial. In 2012 the author Rob Walker’s Hypothetical Futures project exhibited at the 13th International Venice Architecture Biennale, and musician Amanda Palmer’s album “Theatre is Evil” debuted at No. 10 on the Billboard 200 and approximately 10% of the films accepted into the Sundance, SXSW and Tribeca Film Festivals are projects funded on Kickstarter. You may also like Facebook Business Model Analysis - How does Facebook Work & Make Money? So these were the insights into how does Kickstarter work and how does Kickstarter make money. Let us know what you think about such astonishing startups in the comment box below. How to Launch Your Own Business Similar to Kickstarter? 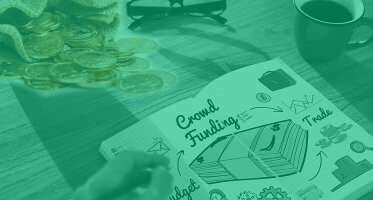 If you’re willing to start your own crowdfunding business – you should go with Kickstarter clone which has customized features to let you roll with your own crowdfunding business. ← The A-Z Guide: How does Uber Work? very interesting , good job and thanks for sharing such a good blog. Interesting stuff to read. Keep it up.